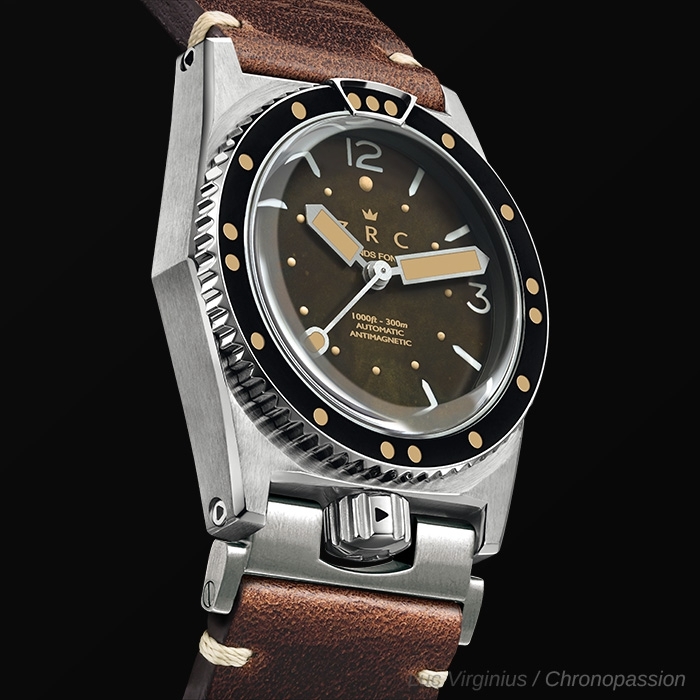 ZRC | 2'890 € Tax inc.
More than a watch , a diving tool. 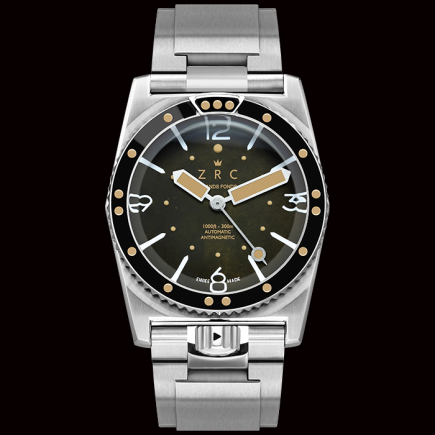 The ZRC wristwatch is known for its dial, its diving waterproofing system, all at a fair price and for a coherent collection, each model powered by a Swiss Made movement. 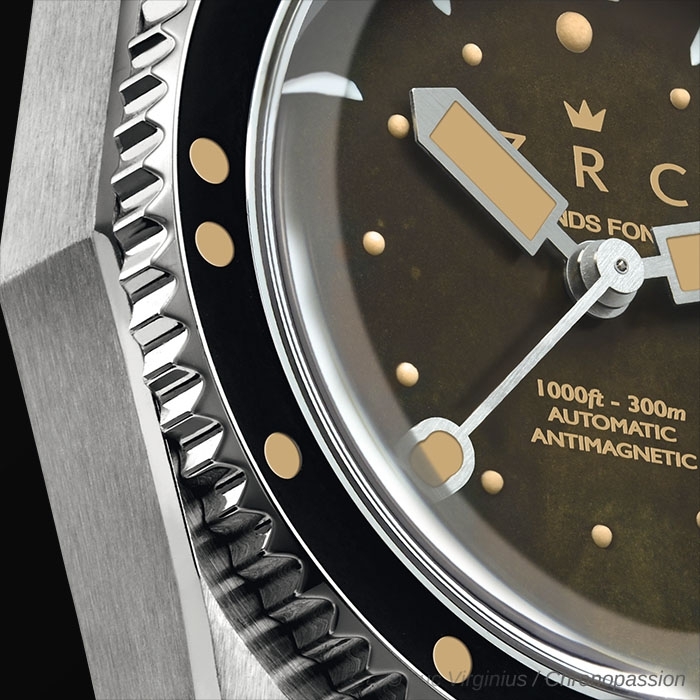 Today, ZRC watches are coming back with each of these particularities of their submerged spirit but with a vintage spirit denoted by a few details on the dial and above all, the bracelet. 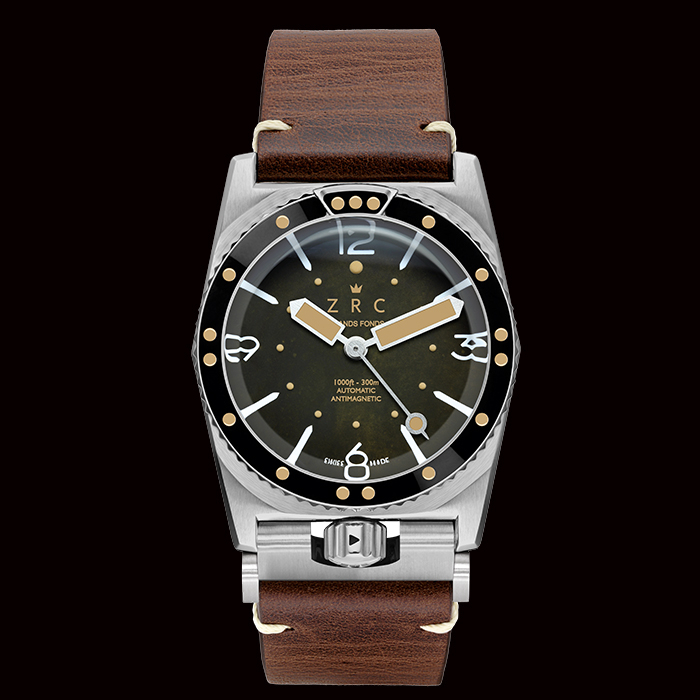 This is the "ZRC Spirit 1964" watch collection. 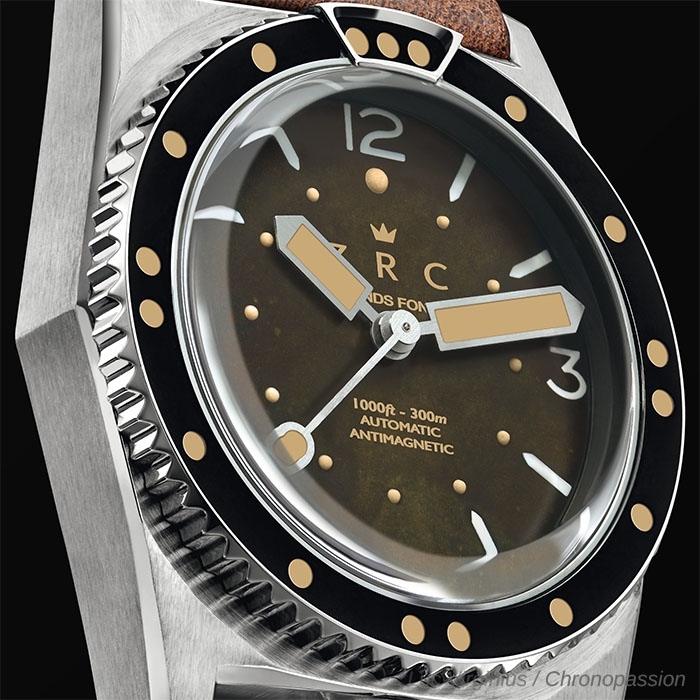 This new collection of wristwatches pays tribute to the first ZRC steel watches, this collection which already featured its exclusive system for both the bezel and the crown of the case. 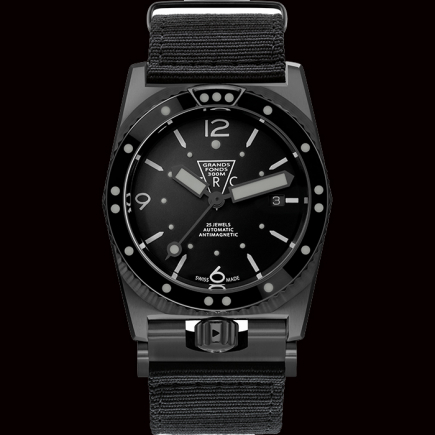 For the watch bezel, it is a water-based cleaning system to prevent sand from seeping into the bezel. Each ZRC collection is equipped with it and this "Spirit 1964" collection is no exception. 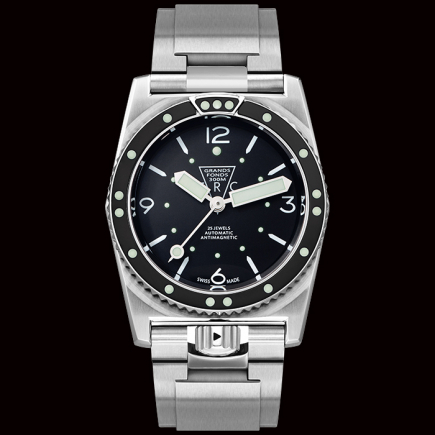 The large black bezel that covers its dial in the same colour can, therefore, be set in motion without being hindered by sand in contact with the stainless steel case. 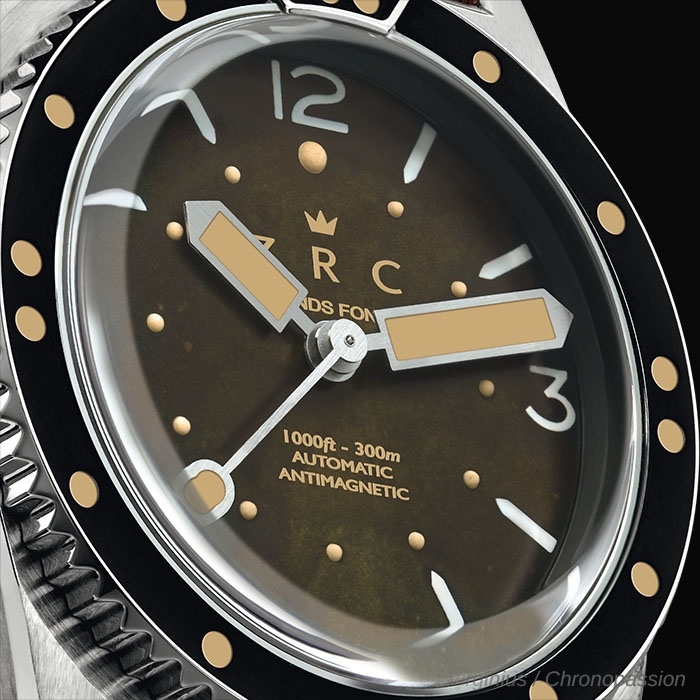 The second system of ZRC wristwatches concerns the crown - an element recalled on each collector's model on its dial, with the ZRC logo precisely in the shape of a crown. 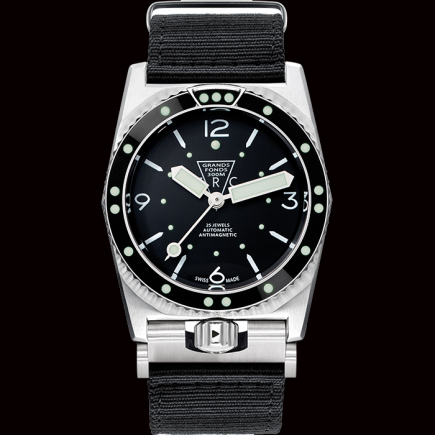 This is the case for this collection of Spirit 1964 wristwatches as well as for a large number of diving watches of the same price. 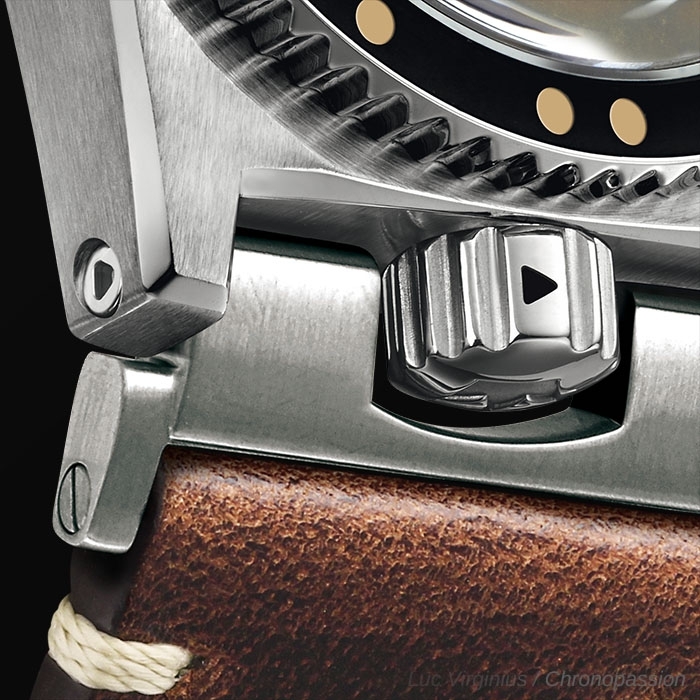 With this system developed by ZRC at the cost of a major R&D, it is impossible to close the bracelet without the crown being correctly screwed into the monobloc stainless steel case. In this way, each watch collection that has this system can dive with peace of mind and the guarantee that the waterproofness will be respected. 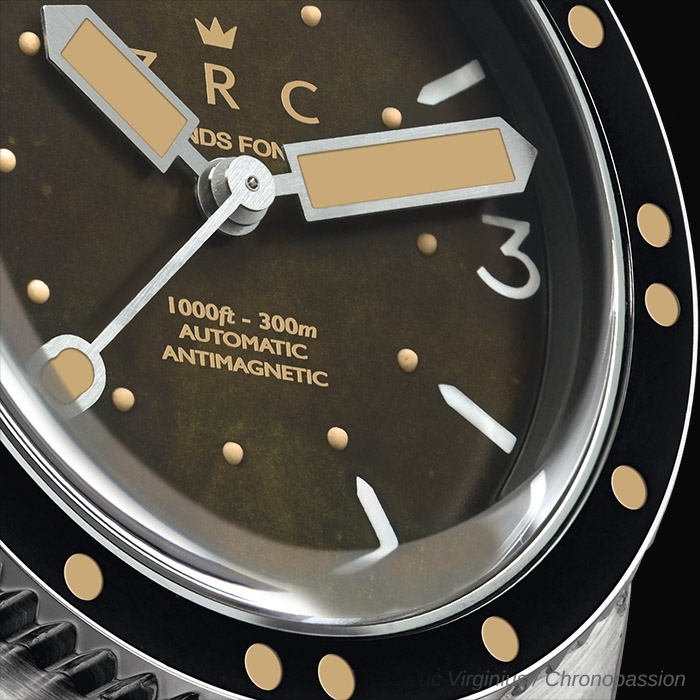 In this case, for these watches in the ZRC Spirit 1964 collection, the water resistance guaranteed when diving is 300 metres, the equivalent of the watch model in the new ZRC Grands Fonds 300 collection. Whether you are a professional or amateur diver, your glasses, case and movement will be protected at all times by these inventions signed ZRC. The new Vintage 1964 collection still benefits from this today. Its price, which is still very well thought out, is now completed by a sporty chic look with retro and vintage accents. 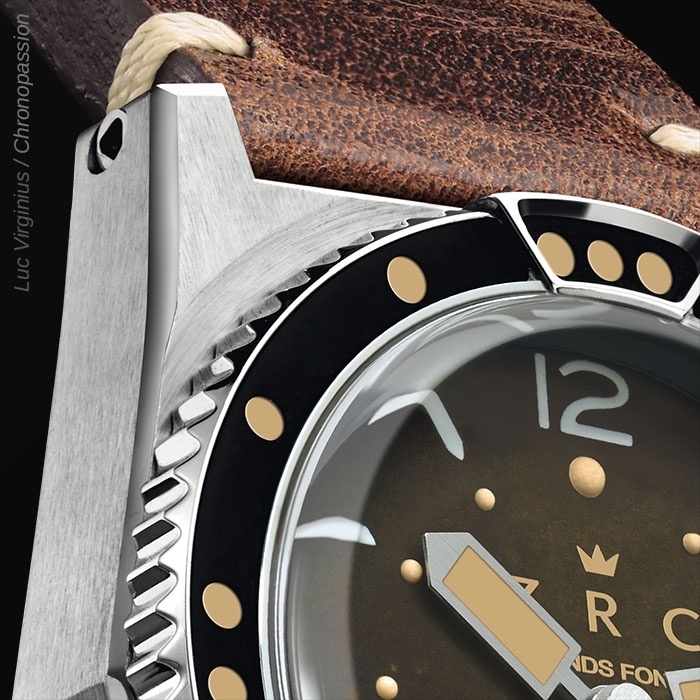 This vintage aspect is given, for the 1964 Spirit collection, by the choice made by ZRC of a bracelet, not in stainless steel but an aged leather bracelet. 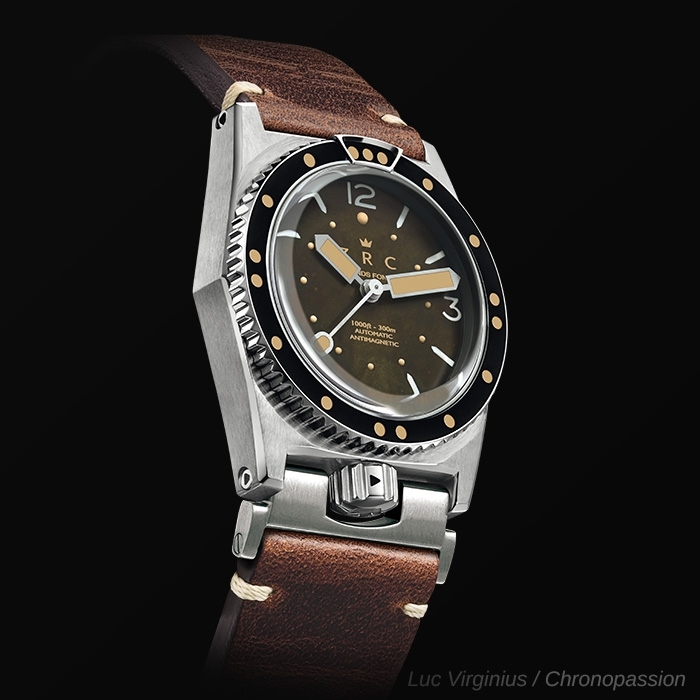 Its brown colour blends perfectly with the steel of the stainless steel case, the black of the bezel and dial, to give life to a unique and unusual diver's wristwatch model. This Spirit 1964 collection, as with all ZRC watches, is driven by a Swiss movement. This movement is automatic, which means that it is wound automatically by the movement of the wrist alone - a significant feature in the diving world where the movement is perpetual and it would be inappropriate for the movement of the watch to stop. 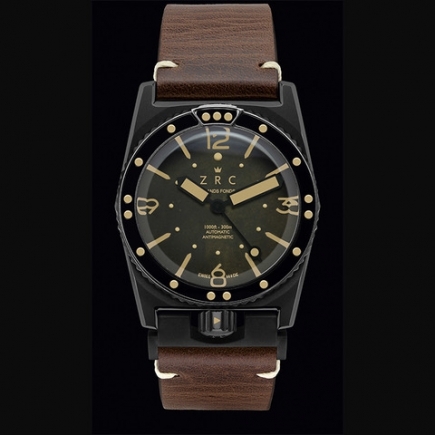 In the end, with this new collection of Spirit 1964 vintage wristwatches, ZRC is offering a "new wave" model of diving watches, with all the attributes that have forged the ZRC legend, with an extra sporting soul that is chic and retro. 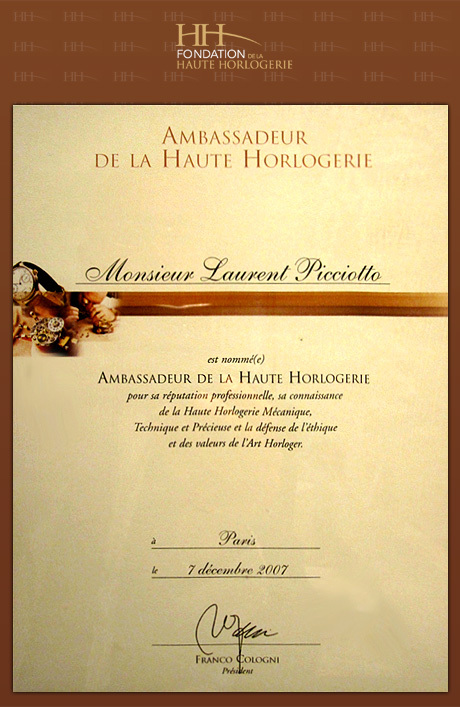 The price is always very studied and without compromise on the movement protection system thanks to the screwed crown at 6 o'clock, as well as on the cleaning system of the bezel. The leather strap of this watch allows this collection to have a more urban look, without denying any of its diving qualities, proudly displayed on its dial decorated with the famous ZRC crown.